Reno F. DalMaso, 95, of Whitehall, peacefully passed on to Eternal Life July 4, 2018. He was the husband of Marie C. (Feichtl) DalMaso for almost 67 years. Born in Allentown, he was the son of Agostino and Amalia (Fochesato) DalMaso. Reno was an Army Air Corp Veteran during WWII serving in the 8th Air Force in England. He served as a P-51 Mustang Pilot and was reassigned to 364th Fighter Granges. He also served during the Korean War. Reno was a life member of the V.F.W. Post #7293 in Egypt. He worked for Lucent Technologies formerly Western Electric of Allentown until retiring in 1988. Reno was a member of the Telephone Pioneers and a member of St. Elizabeth Catholic Church, Whitehall. Survivors: wife- Marie DalMaso; son- Gary J. DalMaso of North Whitehall; daughters- Donna M. wife of Joseph Genay of Allentown, Carole L. wife of Robert Poorman of Spring City, JoAnn D. wife of Arthur Murphy of Harleysville; 3 grandchildren- Marc Genay, Evan Genay and Ryan Poorman; sister- Amelia DalMaso. He was predeceased by brothers- Louis, Ilario and sisters- Rose Stupak and Linda Sennetti. A calling time will be held Tuesday, July10th 9-10AM with Mass of Christian Burial at 10AM in St. Elizabeth Catholic Church 618 Fullerton Ave Whitehall, PA 18052. Burial to follow in Our Lady of Mt. Carmel Cemetery, Whitehall. Arrangements entrusted to Kohut Funeral Home, Inc.
Reno’s family would like to thank Holy Family Manor’s McShea Pavilion for the care and compassion over the past 1 ½ years. In lieu of flowers, contributions can be made in Reno’s memory to St. Elizabeth Catholic Church. 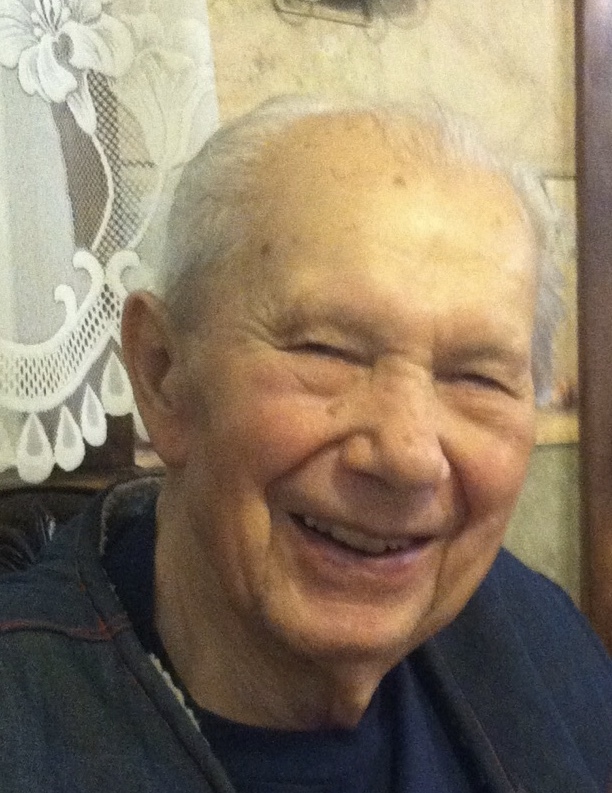 Stanislaw “Stanley” Dabrowski, 97, of Allentown, passed away May 27, 2018, in his home surrounded by his loving family. He was the husband of 68 years to the late Gladys (Chmura) Dabrowska. Born in Nowy Targ, Poland he was the son of the late Karolina (Szopinska) and Franciszek Dabrowski. Stanley worked previously as a butcher for Zandy’s Steak Shop, then for Phoenix Clothes and then retired from Bethlehem Fabricators. He was a member of SS Peter and Paul Polish Catholic Church and their church choir. Stanley was also a member of the Polish American Citizen Society (serving as a past officer and trustee), the Polish National Alliance (serving as a past President of the local lodge), the Polish Highlanders Alliance of N.A. (serving as a past President of the local lodge). Stanley enjoyed spending his free time with his family and gardening. Survivors: Children- Hedy Werrell and husband Paul of Allentown, Frank Dombrowki and wife Susanne of Litiz, Andrew Dabrowski of Coopersburg, Anne Lippincott and husband Jerry of Allentown; Grandchildren- Jeff, Peter, Katie, Kasia, Daniel, Evalina, Matthew and Celina; 5 Great Grandchildren. A viewing will be held Wednesday, June 6th 9-10:30AM in Kohut Funeral Home, Inc 950 N. Front St. Allentown, PA 18102. Mass of Christian Burial to follow at 11AM in SS Peter and Paul Catholic Church 1065 Fullerton Ave Allentown, PA 18102. Burial to follow in The National Shrine of Our Lady of Czetochowa Cemetery 654 Ferry Rd. Doylestown, PA. Contributions can be made in Stanley’s name to The National Shrine of Our Lady of Czestochowa memorial fund. Olga Dudchenko, 94, passed away May 21, 2018 at Phoebe Nursing Home in Allentown, PA. Born February 3, 1924, she was married for 70 years until her husband Boris passed away in July 2012. She worked as a seamstress after coming to America from Ukraine. She was a member of St. Mary’s Ukrainian Orthodox Church, an avid gardener, knitter and baker. Olga was fiercely independent, even at the age of 93, and totally devoted to her son and daughter and two granddaughters. Surviving are daughter Laura Kantra and husband Emil, son Boris and wife Nancy, and granddaughters Noelle Kantra and Natalie Dudchenko both of whom she cherished above all else. Interment will be private at the convenience of the family with arrangements by Kohut Funeral Home of Allentown. Christina V. (Weiner) Daniele, 94, of Allentown, passed away February 21, 2018. 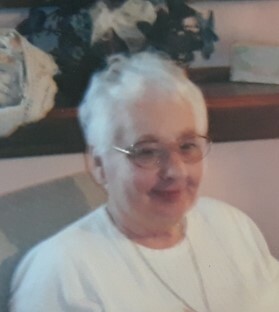 She was the loving wife of the late Anthony F. Daniele, Sr. Born in Allentown, she was the daughter of the late Frank and Catherine (Dominko) Weiner. She worked for Hess’s Dept. Store for 10 years and then as a teacher’s aide at McKinley Elementary School in Allentown for 40 years. She was a member of the Cathedral of St. Catherine of Sienna Catholic Church. Survivors: son- Anthony F. Daniele Jr. of Allentown; daughter- Christina A. Kress and husband Stephen of Howell, MI; grandchildren- Stephen Kress Jr. and wife Rhonda, Andrew Kress, Matthew Kress and wife Meagan; great grandchildren- Gavin, Emerson, Jax and Riley; brother- Jerry Weiner of Nazerath. She was predeceased by her brothers- Stephen and Frank Weiner, sisters- Mary Horvath, Catherine Weiner, Cecilia Hefner and Theresa Weiner. A viewing will be held Tuesday, March 6th 10-11AM with a Service at 11AM in Kohut Funeral Home, Inc. 950 N. Front St. Allentown, PA 18102. Burial to follow in Sacred Heart Cemetery, Whitehall. Gladys (Chmura) Dabrowska, 88, of Allentown, passed away January 25, 2017 in her home surrounded by her loving family. She was the loving wife of 68 years to Stanley Dabrowski. Born in Nowy Targ, Poland, she was the daughter of the late Wladyslaw and Aniela (Kudasik) Chmura. She immigrated to the U.S. in 1959. Gladys retired as a seamstress from Pheonix Clothes and the Greif Co. She was a member of Ss Peter and Paul Polish Catholic Church. She was also a member of the Polish American Citizen Society, the Union of Polish Women in American (where she was previously an officer), the Polish Highlanders Alliance of N.A., and the Polish National Alliance. Gladys enjoyed sewing, reading, cooking, baking, canning fruits & vegetables from her garden, and babysitting her grandchildren. Survivors: Husband- Stanley Dabrowski; Children- Hedy Werrell and husband Paul of Allentown, Frank Dombrowki and wife Susanne of Lebanon, Andrew Dabrowski of Coopersburg, Anne Lippincott and husband Jerry of Allentown; Grandchildren- Jeff, Peter, Katie, Kasia, Daniel, Evalina, Matthew and Celina; 5 Great Grandchildren. She was predeceased by a brother and a sister. A viewing will be held Saturday, February 4th 9:30-10:30AM in Kohut Funeral Home, Inc. 950 N. Front St. Allentown, PA 18102. Mass of Christian Burial to be celebrated Saturday at 12:30PM in the cemetery chapel at The National Shrine of Our Lady of Czestochowa 654 Ferry Rd Doylestown, PA 18901. Burial to follow in the cemetery. Contributions can be made in Gladys’s memory to The National Shrine of Our Lady of Czestochowa memorial fund. Richard E. DeRoner, 85, of Allentown died at home on Friday 12/18/15. He was the husband of Bernadine (Badura). They were married 61 years. A lifelong resident of Allentown, he was a son on the late John F. and Jennie Z. (Hartwick) DeRoner. He was a graduate of Allentown High School. He was retired from Bethlehem Steel Corporation. He worked for many years in Agricultural Hall at the Great Allentown Fair, a job in which he took great pleasure and pride. He was also a poll worker for the Lehigh County Board of Elections. He was very involved in parish activities at St. John the Baptist Slovak Catholic Church, Allentown, and maintained a connection to St. Luke's Evangelical Lutheran Church, Allentown. He was a Marine Corps veteran, Korean War era. He was predeceased by his sister Beatrice husband of Winfield Stone and his brother John F. Jr. Survivors: wife; daughters JoAnn, wife of Jeffrey Stewart of Attleboro, MA, and Lucina, wife of Robert Vender of Hummelstown, PA; son John S. DeRoner of Allentown; grandchildren Stephanie (Vender) husband of Benjamin Hales, Jonathan and Robert Vender, David and Emily Stewart; great-grandchild Henry Hales. Services: A viewing will be held on Tuesday 6-7PM and Wednesday 9:30-10:30AM in Kohut Funeral Home, Inc. 950 N. Front St. Allentown, PA 18102. Mass of Christian Burial will be celebrated at 11AM Wednesday in St. John the Baptist Slovak Catholic Church 924 N. Front St. Allentown, PA 18102. Burial to follow in Resurrection Cemetery. Harold “Herk” R. Dubbs, 88, of Allentown, passed away October 5, 2015. He was the husband of 63 years to Helen (Badura) Dubbs. Born in Seidersville, he was the son of the late Julius Raymond and Ida (Strahler) Dubbs. Harold served in the U.S. Navy during WWII. He worked for Bethlehem Steel on the Narrow Gauge for 42 years. He was a lifetime member of the United Steelworkers Organization of Active Retirees, the Fullerton American Legion and the SE-WY-CO Fire Company. Wife- Helen M. Dubbs; Daughters- Nancy wife of Bron Sheriff, Christine Plessl, Susan wife of Troy Smith; Son- James Dubbs and wife Lynn; Grandchildren- Justin Dubbs, Brent Sheriff, Andrew Sheriff, Tyler Smith and Anthony Plessl; Brother- Raymond Dubbs. He was predeceased by his sisters- Beatrice Brosious, Virginia Braden and Juliet Zimmerman. A viewing will be held Friday, Oct. 9th 9-10AM with a service at 10AM in Kohut Funeral Home, Inc. 950 N. Front St. Allentown 18102. Burial will follow in Cedar Hill Memorial Park, Allentown. In lieu of flowers, donations can be made in Herk’s memory to the Allentown Rescue Mission, the Christian Appalachian Project or to St. Labre Indian Catholic School. 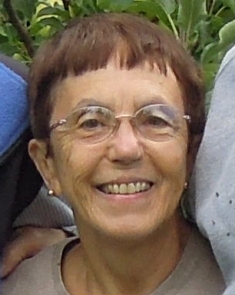 Maryann S. (Matsco) Dixon, 64, of Upper Saucon Township, passed away peacefully in her home on July 28, 2014. She was the loving wife to her husband George C. Dixon and a devoted mother to her son Zachary and daughter Anna. She and George were married 32 years. Born in Allentown, she was the daughter of the late Joseph and Agnes (Zaprazeny) Matsco. Maryann worked as a secretary for Holy Spirit School for 18 years. Prior to this position, she worked at Mack Trucks in Plant 5C. She was a life member of St. John the Baptist Slovak Catholic Church. She was also an Officer of Allentown City Council’s Beta Sigma Phi, Delta Eta Chapter, where she served as Vice President in 1972. 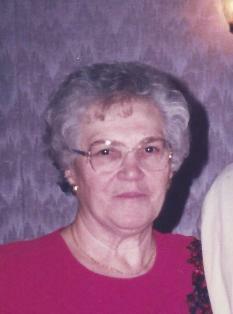 She enjoyed hiking, gardening, baking, needle point, bird watching and was also an avid Phillies fan. Most of all, she became an excellent genealogist and an expert in the Matsco, Zaprazeny and Sukenik family trees which she tirelessly researched. She will be sadly missed by her entire family and friends. She was predeceased by her first husband- Keith Keenly. A viewing will be held on Wednesday 6-8PM and Thursday 9:30-10:30AM in Kohut Funeral Home, Inc. 950 N. Front St. Allentown, PA 18102. Mass of Christian Burial to be celebrated at 11AM on Thursday in St. John the Baptist Slovak Catholic Church 924 N. Front St. Allentown 18102. Burial to follow in Resurrection Cemetery, Wescosville. In lieu of flowers, donations can be made in Maryann’s memory to the Creutzfeldt-Jakob Disease Foundation, Inc., 341 W. 38th St., Suite 501, New York, NY 10018.